Join the Madagascar Penguins in their all-new holiday adventure! Private: He looks so sad. Skipper: Rico, I want that tree up to muster. I went to see Wallace and Gromit last night and was surprised to see this little gem tagged on to the start. 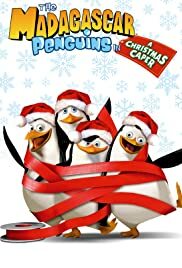 The story follows a group of penguins that are trying to rescue one of their own after he leaves to buy a Christmas present for someone else, only to wind up being put in a stocking himself. This short was just as well made as the full length features in every way. I wasn't overly impressed with Madagascar, but this short was superb. It was far funnier than Madagascar itself, and possibly even Wallace and Gromit. As someone else has already said, it seems odd to tag a Christmas theme on the front of a Halloween one. It's worth the admission fee for this alone.